A multi-media story collection about borders, line-crossings, and overlapping identities, as told by the residents of the Mission District in San Francisco and collaged into broader narratives by the author Adriana Camarena to provide a layered picture of this traditional working class immigrant neighborhood in California. Adriana Camarena is a Mexican from Mexico, complicated by an upbringing in the U.S., Uruguay, and Mexico. 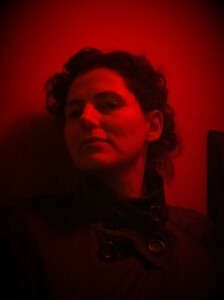 She became a resident of the Mission District of San Francisco in 2008. Since arriving in the Mission, Adriana began collecting tales of borders, line-crossings, and overlapping identities told by residents to provide a layered picture of this traditionally working class immigrant neighborhood in California. Favorite: The Unsettled/Inquietos Series: A collaboration with El Tecolote! Adriana Camarena is collaborating with Accion Latina to create and distribute “Unsettled/Inquietos,” a series of literary non-fiction essays based on portraits of working class and poor residents of the traditionally Latino Mission District of San Francisco. The work will be published in English and Spanish in the bilingual El Tecolote newspaper of Acción Latina in print and online. The “Unsettled/ Inquietos” series is supported by a 2017 Creative Work Fund literary grant. 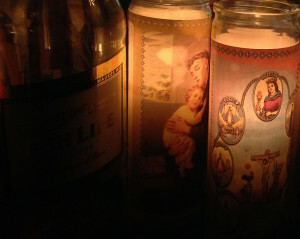 (Excerpt) "Recently, residents of the Mission have taken an increased interest in the original Creek of Sorrows. [...] Yet, even more invisible is that other river running in a torrential sweep of grief through the Mission, unchecked and unseen. It is a river of tears teased out by poverty, policing, addiction, gun violence, and discrimination. Entire families are drowning in its waters, mothers are cracked and fractured, and youth are harmed, but this raging violence holds no geeky affinity of palatable liberal interest to us, like an actual river. 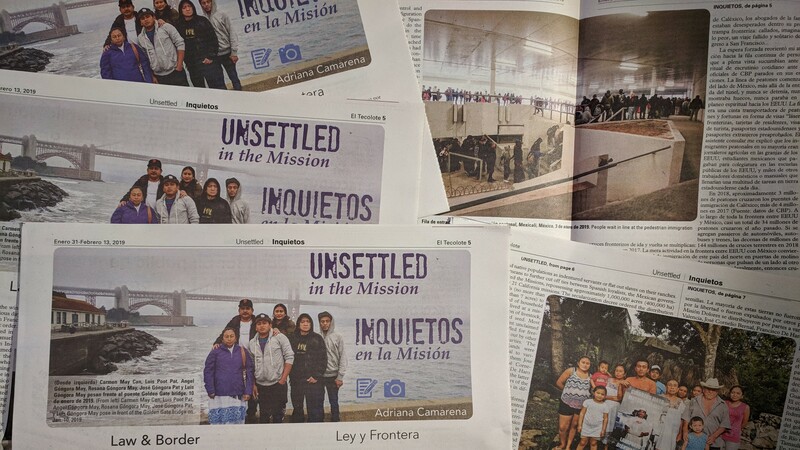 [...]"
Unsettled/ Inquietos: A collaboration with El Tecolote, the bilingual newspaper of the Mission!